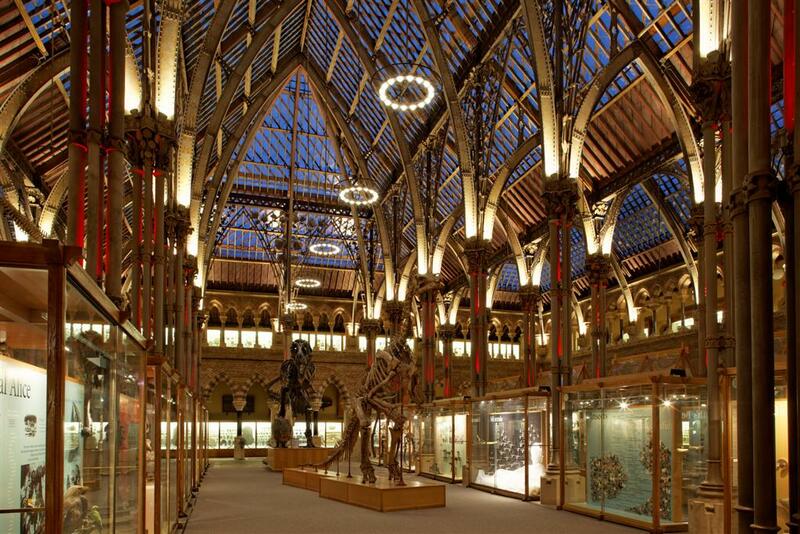 Oxford UniversityÍs Museum of Natural History, originally built in 1860, is a Grade I listed building. In December 2011, the museum began an extensive project to repair its roof structure. At the same time, a routine lighting survey conducted by the UniversityÍs Deputy Electrical Engineer demonstrated huge potential to upgrade and enhance the minimal lighting that was then in situ. As such, a project team was assembled, which included the museumÍs electrical engineer, Zumtobel, Purcell Architects and Monard Electrical. A significant challenge for the team was developing an appropriate fixing system that would not damage the Grade I building. Monard Electrical played a fundamental role in the design and selection of innovative fixings, which allowed the luminaires and cabling to be attached to the structure by magnetic brackets. All luminaires are dimmable and networked to a ZumtobelæÍs Luxmate lighting control system, with an integrated central battery for emergency, designed in combination with Oxford based M&E Consultancy CBG Consultants Limited. Day to day operation is fully automated with daylight control by a roof mounted Skyscanner device that monitors the available amount and direction of daylight. For events, a choice of carefully balanced lighting scenes, including RGB colour change, are accessed wirelessly by museum staff, via an iPad. The performance of the LED luminaires, the expertise of Zumtobel and a collaborative approach from the project team has resulted in a spectacular lighting solution that meets the complex requirements of the space.